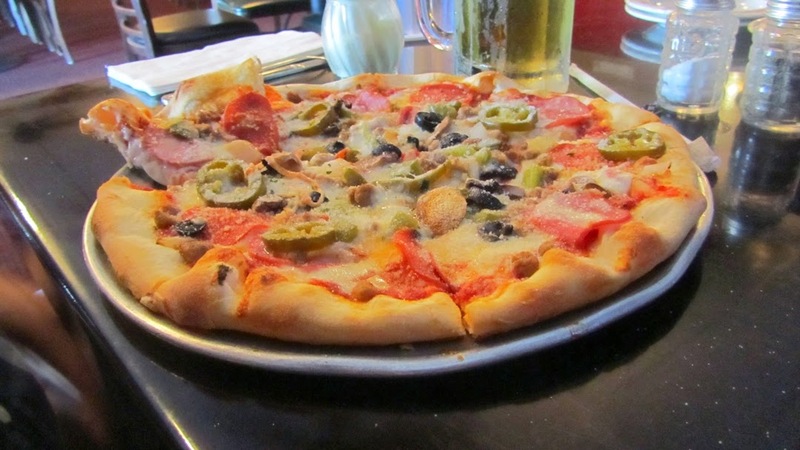 Luigi's is the closest restaurant to our home, I really wish that it were better. 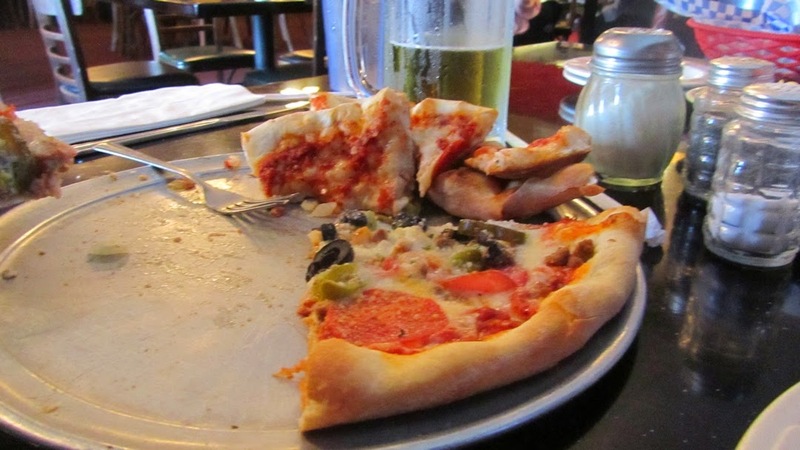 Having said that, Mildred loves their food and Larry enjoys it, though he did say that Marco's pizza was better. I have always been a little disappointed. 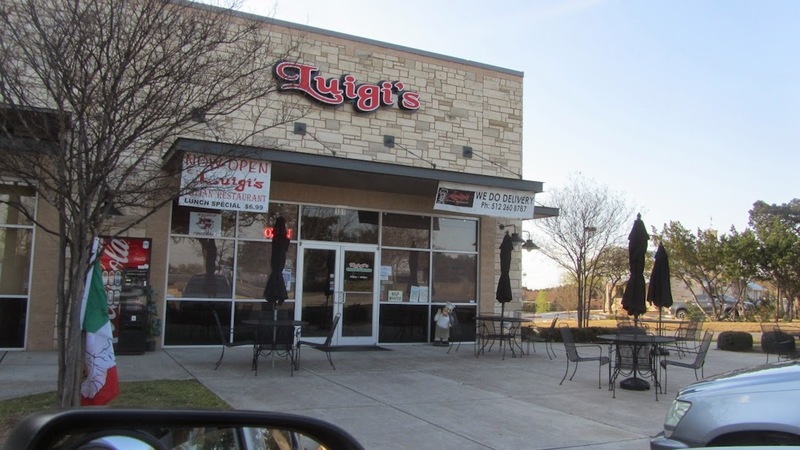 Luigis is located a mile from our home, on Crystal Falls in the strip mall just east of Bagdad. They do a very busy take out business and they also do delivery within a 5 mile radius. If the food were better it would make a very nice alternative to our regular Chinese delivery. 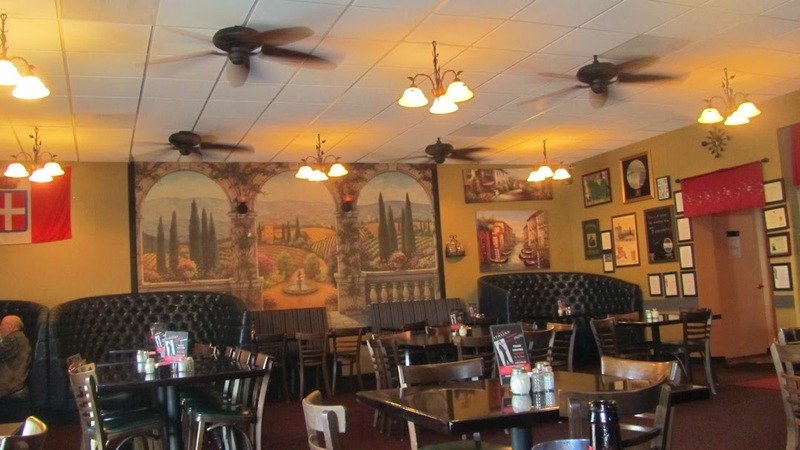 The interior is slightly strange, there is lots of space and while the floor space is not cluttered with too many tables, and the booths are spacious, the walls are very cluttered and the drapes are fussy dust collectors. I can't fault their service though, as you can see from the photo below, it was not very busy when we got there, but it did fill up quite quickly and we had to wait longer than we should have to get the check. The menu is very big and everything sounds delicious, but when it arrives it just doesn't look as good as it sounds, and, for the most part, doesn't smell fresh. That is not to say that it smells bad, but it doesn't have that, 'fresh made with fresh ingredients' aroma. 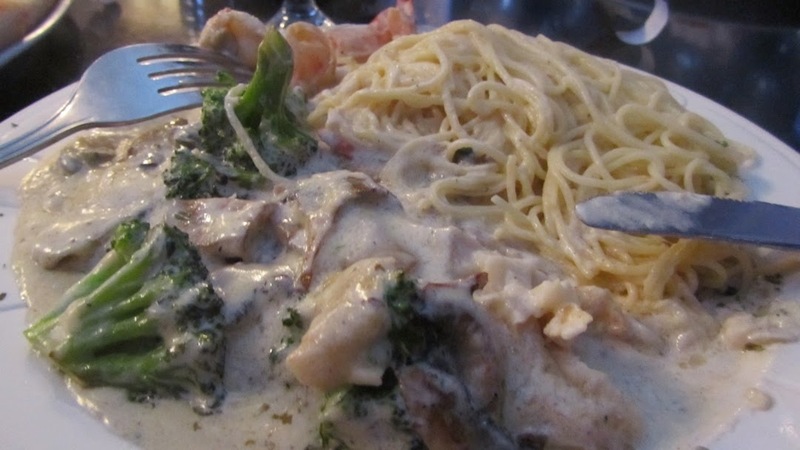 Grilled Tilapia fillet and shrimp sauteed in a creamy broccoli and mushroom sauce with angel hair pasta - sounds so delicious, but when it arrived, apart from being a ridiculously large portion, it didn't smell great. That is the smell of fish was the overpowering aroma, and a fresh tilapia shouldn't smell that strong, particularly drowned in a thick sauce. Sadly it didn't taste much better than it looked, the mushrooms were leathery and the fish didn't taste any fresher than the smell promised and finally the pasta was very over cooked. 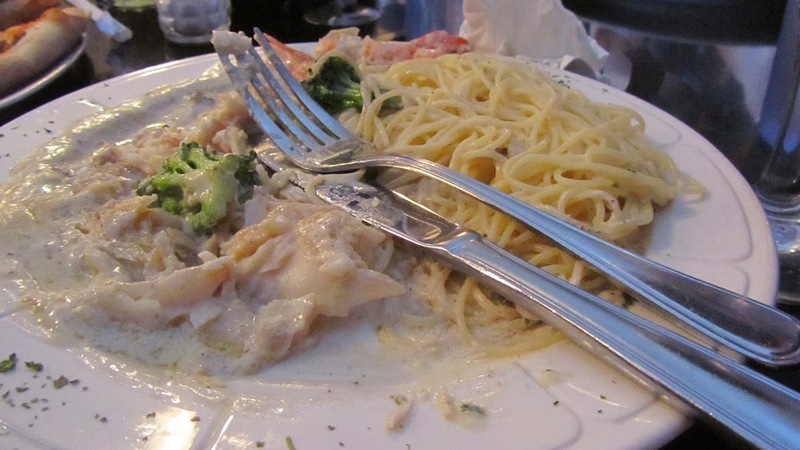 The shrimp were good, but I think serving shrimp with tails on, buried in a thick al fredo sauce is not advisable and does make them very difficult to eat. 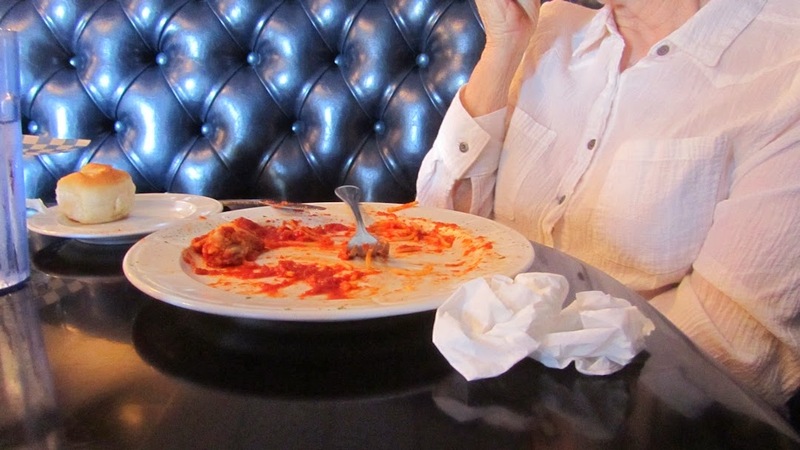 Mildred was able to finish her meal and enjoyed it as much as every time she tried it before. I really couldn't eat much of my dish, which was one of the more expensive items on the menu. 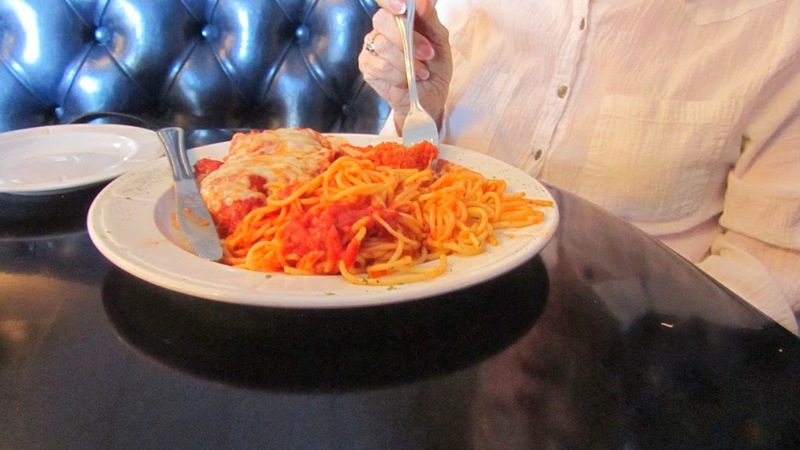 If you decide to give Luigi's a try, I recommend you stay away from the fish, and go for the less expensive items. Mildred's Veal was $8.95, the Personal Pizza was $7.95 plus $1 per topping, while my tilapia was $13.95.